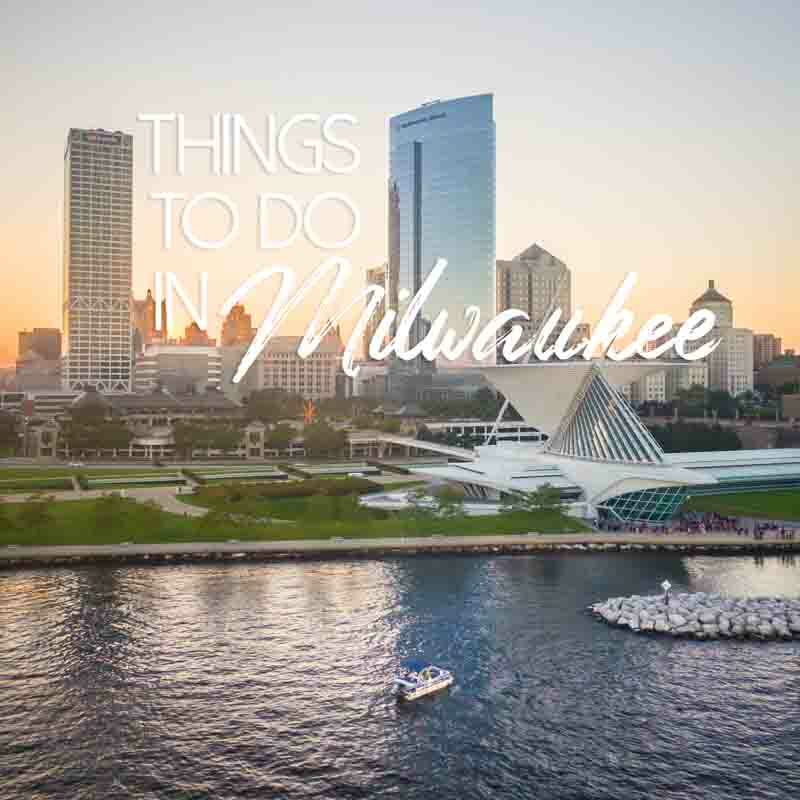 Whether you want to enjoy Milwaukee’s skyline while enjoying a rooftop drink or watch festival fireworks under the stars, Milwaukee has some of the best rooftop bars for both day and nighttime fun. These spots have more to offer than great views and craft cocktails — even if quality drinks and a stellar view attract most of us to rooftop bars. Gourmet inspired small plates, entertaining games, and comfy furniture will ensure you stay for a second round. Fireplaces extend Millwaukee rooftop bar season through chilly nights and help to create inviting options for rooftop happy hours, date nights, or partying with friends. 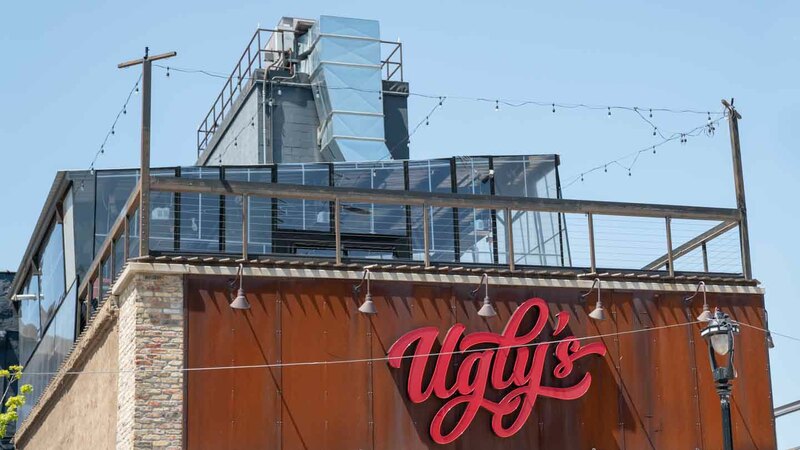 Ugly’s is located right in the middle of a popular entertainment district, but unlike the neighboring bars and clubs, Ugly’s offers a rooftop patio with fantastic views of the Milwaukee River. Ugly’s Bar spans over three floors seamlessly transitions from the perfect place to grab happy hour specials and upscale bar food, to a popular destination on Friday and Saturday nights where trendy crowds gather to drink and dance to live DJs into the early morning. Ugly’s offers rotating nightly food and drink specials, including various happy hour drink specials and discounted specialty flavored chicken wings on Wednesday nights. The menu includes appetizers ($4.95-$12.95), a favorite being the tempura fried asparagus served with chipotle mayonnaise for $7.95. Also offered are soups, salads, burgers, tacos and sandwiches, and gourmet pizzas, all ranging between $9.95 and $14.95. Try the Ugly Burger for $14.95 – it comes served with smoked gouda, bacon, caramelized onions, sour cream, giardiniera, and lettuce. Hours are Tuesday to Friday 4:00pm-2:00am and Saturday and Sunday 11:00am-2:00am. 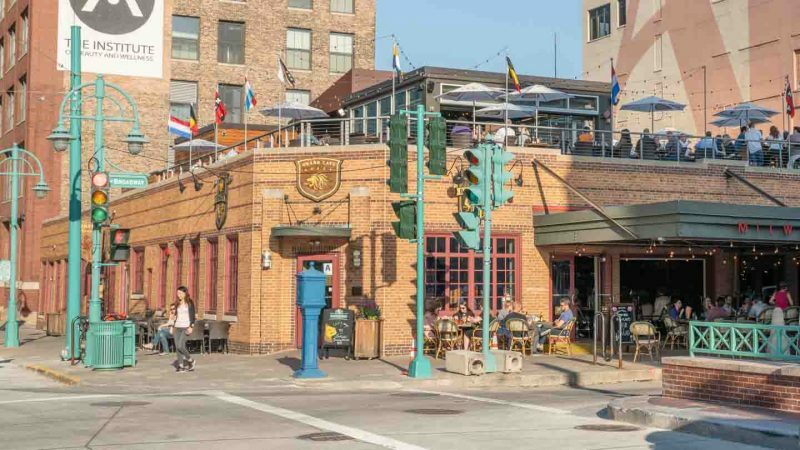 Café Benelux is located right across the street from the Milwaukee Public Market and other popular shopping destinations in the Historic Third Ward. Inspired by the Grade Cafés of the Lowlands region of Europe (Belgium, Netherlands, and Luxembourg), Café Benelux serves up an extensive food menu for breakfast, lunch, and dinner and an even more extensive beer menu for nighttime fun. Appetizers, shareable plates, soups, salads, and entrées range between $9.95 and $23.95. Try a pound of mussels provençal simmered in white wine and basil with a side of frites for $5.95 that come with two dipping sauces, including roasted garlic aioli and sriracha mayonnaise. All of these can be enjoyed on the rooftop patio, along with craft cocktails and a beer list that comes in the form of an over forty-page book. Hours are Monday through Thursday 7:00am-11:00 pm, Friday 7:00 am through midnight, Saturday 8:00 am through midnight, and Sunday 8:00am-11:00 pm. The Outsider sits atop the recently built Kimpton Journeymen Hotel. Due to it’s indoor and outdoor spaces, excellent food and drink options, and its trendy location in the Historic Third Ward. The Outsider has quickly become one of the city’s most popular destinations. Drinks include an extensive beer and wine list, in addition to a small but perfectly executed seasonal craft cocktail menu ($14 each). Try the Cashmere Season that artfully combines honeycomb infused lustau manzanilla sherry vodka, vanilla cardamom Lemon, rose hip mist, bittercube bolivar, and fig. Food options revolve around a small plate menu with options between $9 and $15. A popular choice is the buffalo style crispy oyster mushrooms served alongside blue cheese dressing, celery, and carrots ($9). Hours are Monday through Friday 2:00 pm to 2:00 am, Saturday 12:00 pm to 2:00 am, and Sunday 12:00 pm to midnight. As the name implies, Zen on Seven is located on the seventh floor of the art-deco inspired Hotel Metro. The over 400 square foot space is one of the city’s most popular rooftop spots. Decorated with assorted greenery and a serene waterfall that streams into a small pond, Zen on Seven is a perfect escape from the city while staying downtown. The views are hard to beat and can be enjoyed while sipping cocktails on comfortable wooden furniture. Due to its popularity, Zen on Seven is often rented out for private events and weddings. Hours vary depending on availability, so plan on calling ahead before visiting – unless you plan to rent the space for your next special event. For a beautiful outdoor space with exciting views of downtown Milwaukee, consider renting out The View for your next special event. The View at Evolution is located above The Brass Alley and Evolution ping pong bar in a recently renovated historic building. Keep in mind that The View is only available for private events, making it the perfect site for business parties, receptions, weddings, and other special events. Catering and drink options are available. If you’re visiting Milwaukee in the summer make sure to make your way up to one of the best rooftop bars in Milwaukee for a drink with a view.